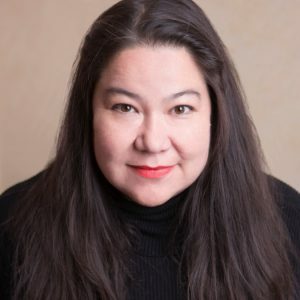 Brenda Shaughnessy is the author of four poetry collections, most recently So Much Synth (2016, Copper Canyon Press) and Our Andromeda (2012), which was a finalist for the Kingsley Tufts Award, The International Griffin Prize, and the PEN Open Book Award. Her work has appeared in Best American Poetry, Harpers, The New York Times, The New Yorker, O Magazine, Paris Review, Poetry Magazine, and elsewhere. Recent collaborative projects include writing a libretto for a Mass commissioned by Trinity Church Wall Street for composer Paola Prestini, and a poem-essay for the exhibition catalog for Toba Khedoori’s solo retrospective show at LACMA. A 2013 Guggenheim Foundation Fellow, she is Associate Professor of English and Creative Writing at Rutgers University-Newark. She lives in Verona NJ with her family.